Employers should not only have a sound anti-harassment policy, but should also walk the walk. Employers need to make their policy a living, breathing thing that employees know about and are confident that the employer will follow. Incidents such as the Harvey Weinstein scandal often prompt workplace conversation regarding serious issues, presenting an opportunity for an employer to remind employees of its anti-harassment policies and procedures in place. Additionally, the Weinstein scandal highlights the dangers of turning a blind eye to known harassment or harassment rumors. When an employer knows or should know of potential harassment, it has an obligation to investigate and act on the potential problem in accordance with its policy. In addition to having a sound written policy, responsible employers train their managers and employees on the policy. This is critical to make sure employees know of the policy and that managers know their responsibilities when a potential harassment problem arises. Every employee – from the CEO down to the newest hourly worker – should know that sexual and other forms of harassment are prohibited, what the prohibited conduct consists of, and how to report problems that may arise. In a number of states, harassment training is legally required. 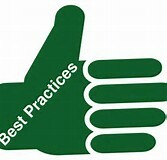 Elsewhere, regular training is a best practice, because preventing workplace harassment is the law everywhere. The Equal Employment Opportunity Commission recommends: “An employer should ensure that its supervisors and managers understand their responsibilities under the organization's anti-harassment policy and complaint procedures. Periodic training of those individuals can help achieve that result.” In general, it is a best practice to train management and supervisors on sexual harassment prevention upon hire and at least every two years. Importantly, companies should document who has attended training to ensure that all employees are regularly trained. Employers should encourage employees to bring harassment concerns to the company’s attention. Early reporting of concerning workplace behavior provides the company an opportunity to prevent escalated misconduct. Additionally, employers should clearly communicate to employees how to report concerns and ensure that no retaliation for such reports is tolerated. It is imperative that employers promptly investigate known or suspected claims of harassment. Under the law, when a manager knows of harassment, the company is deemed to know. As such, a delay in action can increase an employer’s exposure to potential liability. Managers should be trained to promptly pass on any known or suspected problems of harassment so that the company can promptly investigate. In addition, if an investigation reveals a violation of the company’s harassment policy, the employer should take immediate and appropriate corrective action to end the harassment, stop its recurrence and remedy its effects. Such corrective action will vary depending on the severity of the policy violation, but could include a documented warning, suspension, mandatory training, demotion, and, of course, termination of employment.